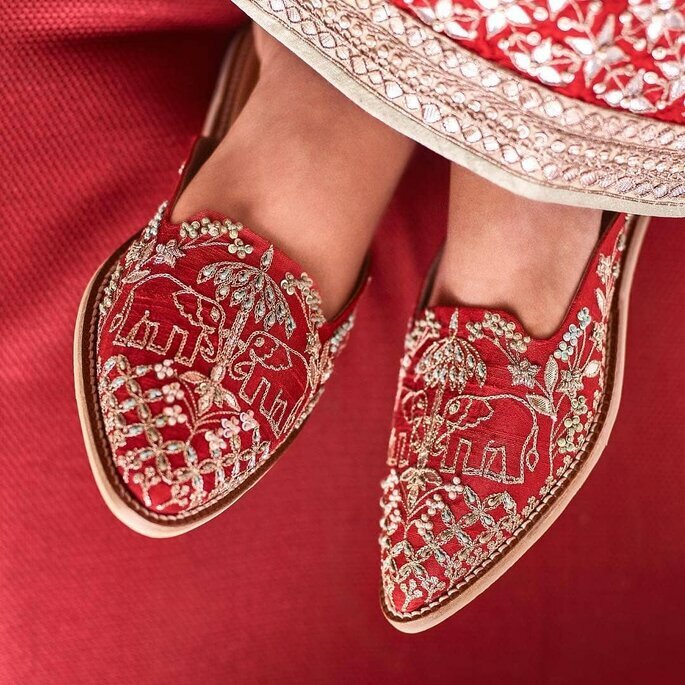 10 Ultimate Offbeat Wedding Shoes For The Indian Bride! 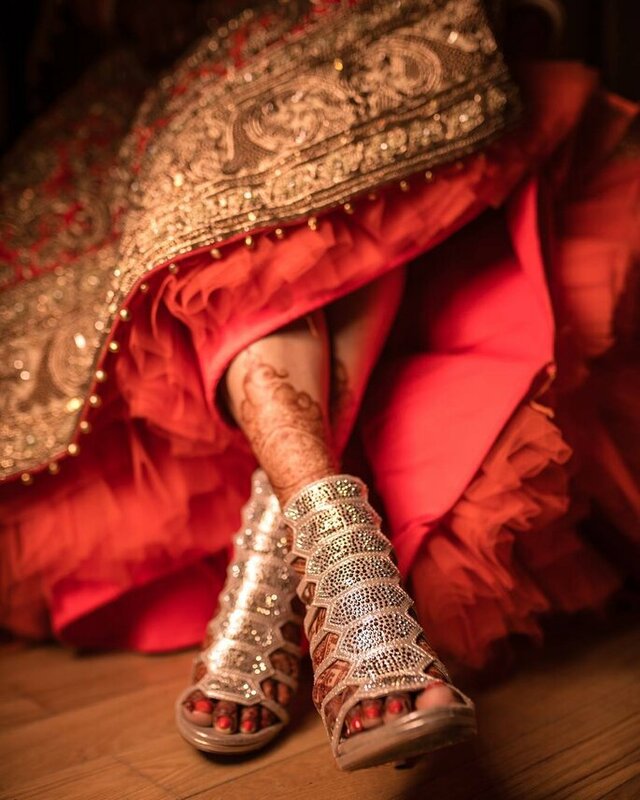 From lace bridal shoes to electrifying heels designs to embroidered juttis, you will find the visionary designers and our trendsetting Indian brides mesmerizing everyone with their unique wedding shoes. We have picked out the best offbeat bridal shoes for your next wedding inspiration. Check them out! As much as we love conventional fashion, adding an exciting component to the already classy vintage fashion makes everything even more astonishing. 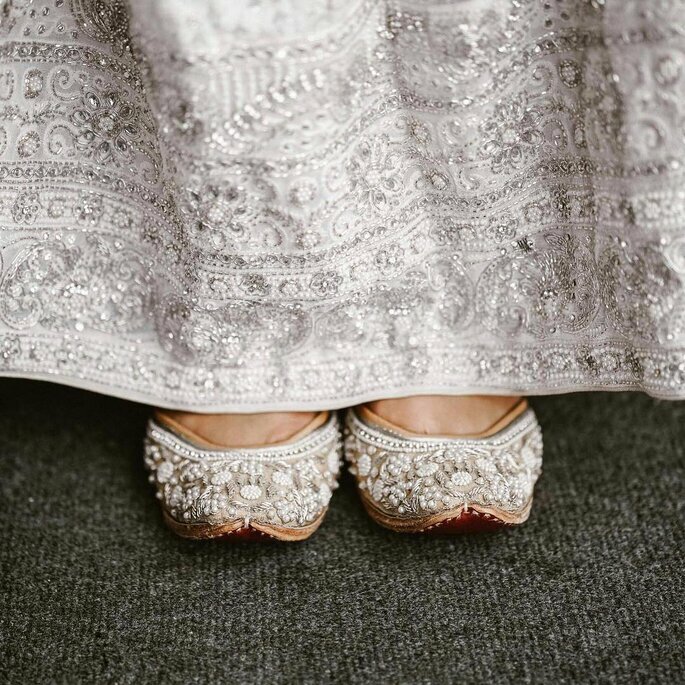 From lace bridal shoes to electrifying heels designs to embroidered juttis, you will find the visionary designers and our trendsetting Indian brides mesmerizing everyone with their unique wedding shoes. 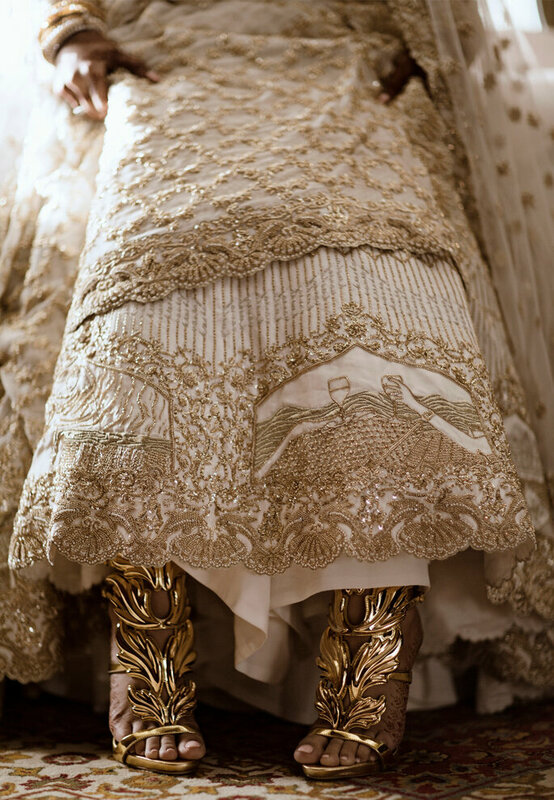 Hence, we have picked out the best offbeat bridal shoes for your next wedding inspiration. Check them out! 1. 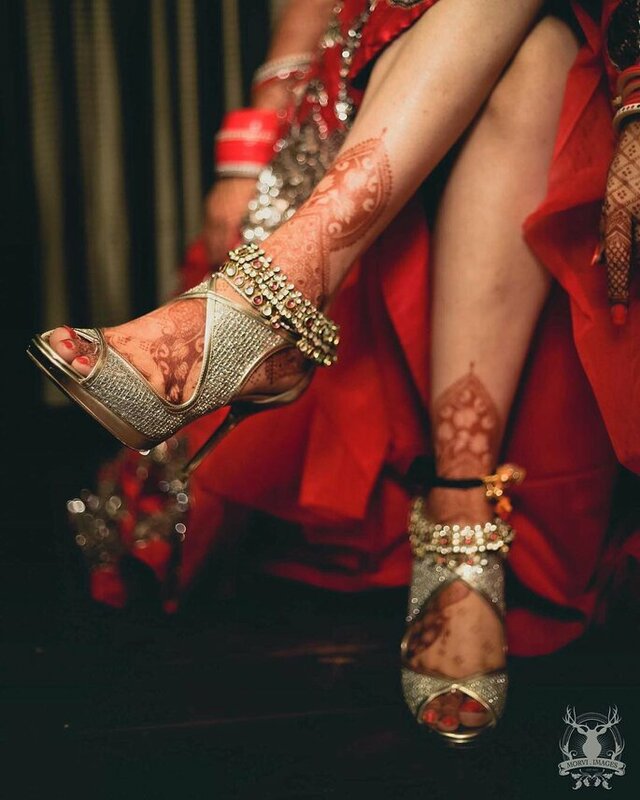 Planning to satiate your feet with intricate Mehendi? Then this gleaming gold string lace up sandals could be your ideal choice. Even our Wonder Woman Gal Gadot is fond of these comfortable and gorgeous lace up sandals. 2. These funky fuchsia leather juttis is all you need for your vibrant getting ready photography. Needless to say these will also match up with your gold embroidered lehenga. 3. 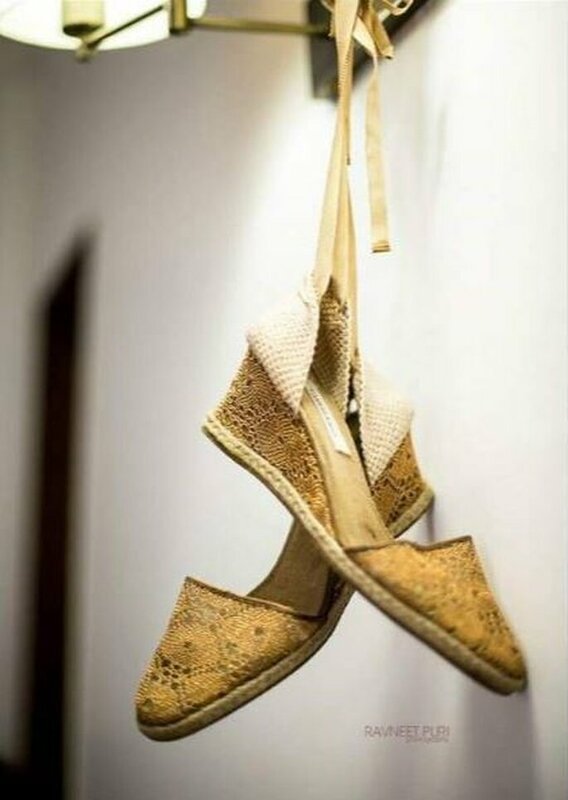 If you are already wearing a heavy lehenga with magnificent chunky jewellery then this cozy and exquisite tie-up crotchet shoes is your best friend. 4. 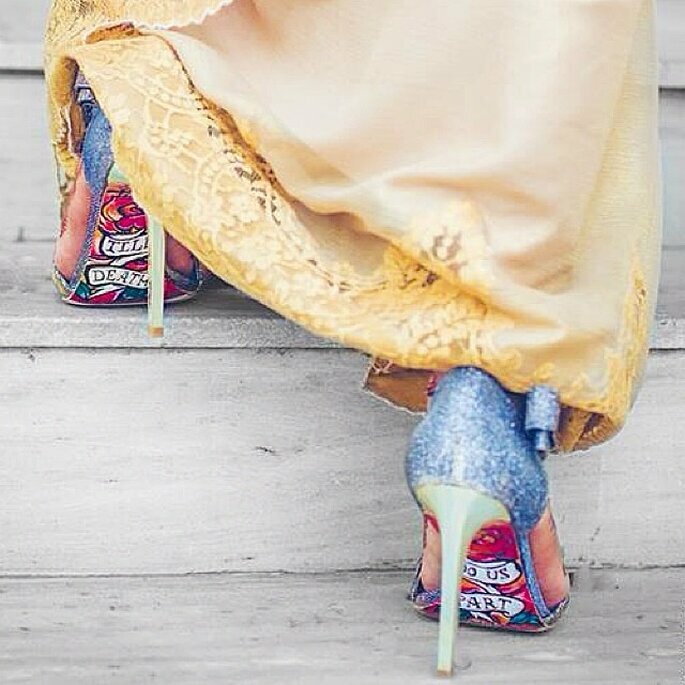 How about wearing a pair of spectacular cut-out heels with your marvelous zari lehenga? These beauties will also perfectly compliment your dhoti pants for your Mehendi. 5. We just the how these heels are incorporating different aspects of fashionable shoes. 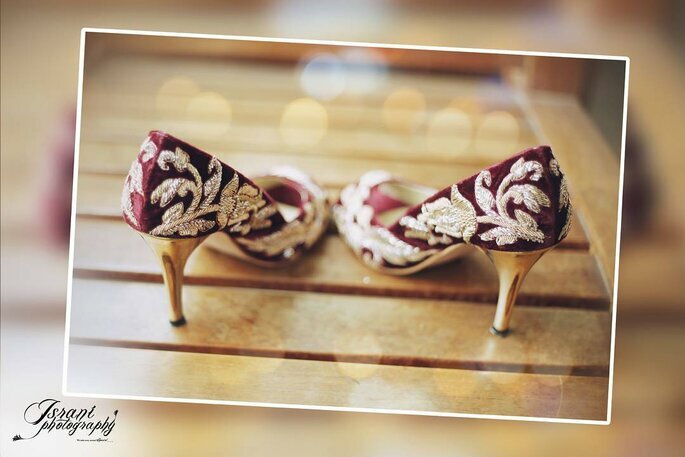 Velvet peep-toe heels in Maroon shades decked up stunningly with zardosi work. 6. What a stunning combination of peep-toe and high heels! We just love how the open T-strap pattern is according a distinctive style to the heels. 7. Why wouldn’t anyone love these snugly open-back cotton juttis with appealing classical elephant motifs and beautiful tiny ornamentation? 8. Everything about this pair of pumps is exceptional. The graffiti at the bottom, cut-outs at the sides, eccentric grayish and blue shade, and the quintessential romantic message on the sole is just like a dream come true. 9. How to give a perfect twist to your traditional juttis? By coupling the elegant floral embellishments and the attractive thread work. 10. Honorable mention of this bride who went viral two years back because of her wedding shoes and bridal lehenga. If you want to spend your D-day in the lap of luxury, then these Manolo Blahnik deluxe metal cut-out heels is an excellent option. Let us know in the comment section below your desired wedding shoe! Do not miss any latest wedding updates from ZankYou India. Follow us on Instagram and Facebook. Presenting the ultimate list of unique contemporary nose rings that will enchant you with their brilliant intricate detailing. Sit back and be ready to get some unique ideas for your own personalized nose ring. What's In Store For The Floral Bridal Jewellery This Season? Srishti Kapur From 'Floral Art By Srishti' Tells Us! We got in touch with Srishti Kapur from the contemporary dynamic brand ' Floral Art By Srishti' and she enthusiastically gave us the fashion insights and how is she planning to surprise all the Indian brides with her progressive pieces of jewellery this season. 12 Unique Kaleere Designs That You Need To Check Out! 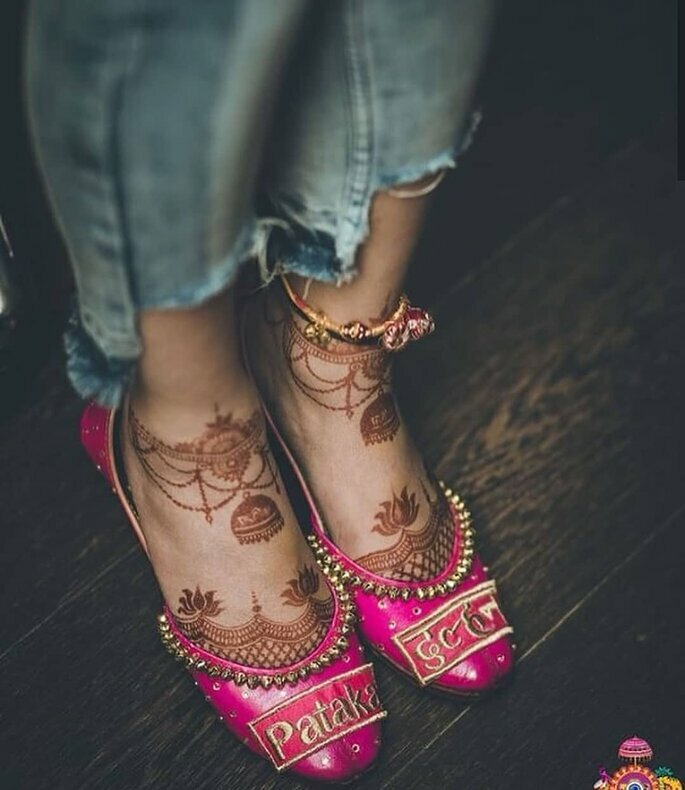 Whether Punjabi or not, every Indian bride now fancies wearing them and that's why we've made sure that we don't disappoint you with this list of unique offbeat kaleeres. Sunglasses at a wedding: are they really stylish? Here opens the great question of the summer season: Are sunglasses at a wedding really elegant? The choice is yours, what will you do? With these 5 factors in mind when choosing your bridal footwear, you'll be able to enjoy a much less stressful shoe search. We're sure you'll find the perfect pair for your special day, allowing you to look and feel amazing!